What Schools Offer Software Engineering Programs and Related Degrees in South Carolina? Read the latest news headlines regarding highest career growth fields and you'll see that software development, software engineering and the computing sector in general has the greatest growth statistics of any sector. South Carolina is also projected to see growth in these fields over the next decade. There are various educational paths that can lead to professions in these fields. Nearly 50% of those working in software engineering obtained their undergraduate degree in Computer Science. 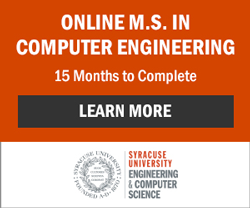 Computer science and computer engineering undergraduate programs often include software engineering components in course offerings so students gain exposure to the fundamentals of software engineering. As of publishing, there were no schools in South Carolina that offer an undergraduate degree in software engineering. there are accredited schools offering online software engineering undergraduate degrees in South Carolina. Learn more about these programs by reading the articles under "Further Reading" in the right-hand column. There are master's degree programs in software engineering offered by schools in South Carolina and they are listed below. Computer Science may be a good option for those looking to attend an in-state institution.